Posted on 01/07/2015 by U.N.
installed motor capacity makes the ThyssenKrupp hot strip mill in Bochum the most powerful rolling mill in Germany. Though the mill was already planned in the early 1960ies by the Bochumer Verein steel corporation it wasn’t until 1966, after the takeover by the Fried. Krupp company, that the mill was put into operation. The mill is capable of rolling even high alloyed speciality steel. 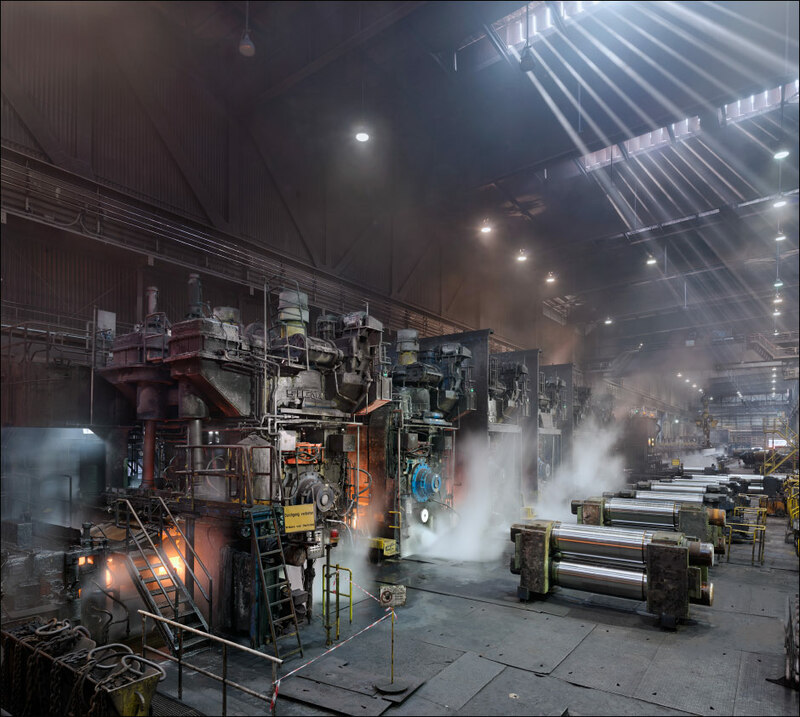 After the closure of the adjacent Nirosta steel mill all primary material now comes from the August Thyssen Hütte in Duisburg. This entry was posted in Works and tagged Bochum, Germany, Rolling Mill, ThyssenKrupp by U.N.. Bookmark the permalink.